Its like a love movie. But with Zombies. 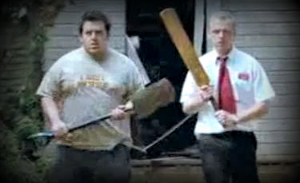 Shaun of the dead follows one man on what can only be described as a Romantic Zombie Comedy. We start with the everyday life of Shaun. Shaun holds a job normally reserved for those getting their feet wet in the job market, is pushing thirty with co-workers who have absolutely no respect for him. I want to slap the ginger. While he does the same routine every day it is made worse when his girlfriend Liz finally dumps him and he is forced to go at this very tedious life of his alone. It troubles him so much in fact that when the zombies come, he does not even notice the corpses shuffling through the street, or blood on windows at first. In fact it takes him a full day to realize that something is not right. There is no clear cut cause for the zombie infestation. There are some clues though. Like the papers say that some farm crops are to blame and a radio does mention a probe crashing to earth unexpectedly. 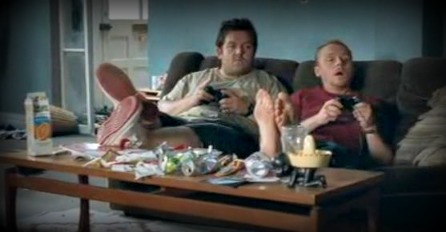 Shaun has his relationship with Liz over and done with and his tentative relationship with his mother on the rocks not to mention his best friend constantly making his flat mate angry due to them both doing nothing but playing video games all day. Life looks so hard, in fact, this reminds me of my life. 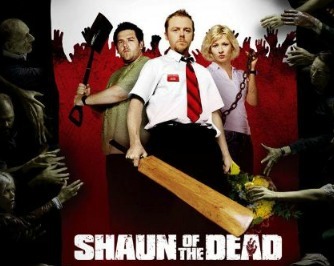 There are now even zombies to have to deal with; it would seem that Shaun has the worst life ever. Not anymore, all that is about to change. Shaun has had enough. It’s time to get his girl back, get things right with his mother, and get his life on track. I will admit that when it first came out I had no desire to go see it when my roommate told me that it was a British comedy. My first experience was rather bad, and I have avoided him and most 'British' comedy ever since with few exceptions. Eventually I was 'forced' to watch it and I am glad that I did. It now is one of my favorite horror comedy movies out to date. The special effects are on par with everything else released around this time, and they hide the fact that it was a fairly low budget movie extremely well. I think this was able to be done mostly by way of keeping it 'real' there was no plethora of guns, or massive building explosions, or anything like that in Shaun of the Dead, unlike say...any John Woo movie. People grabbed whatever was handy and used that. 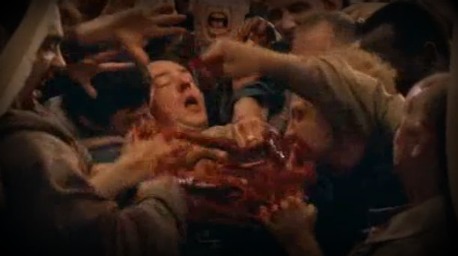 The entire special effects budget was used to make the zombies look convincingly real, and to keep you well immersed in the going on of the movie. The comedy aspect of it is what most fans of British humor would expect; repeating themes, plays on words, and things that can be easily missed. I find something new every time I watch it. 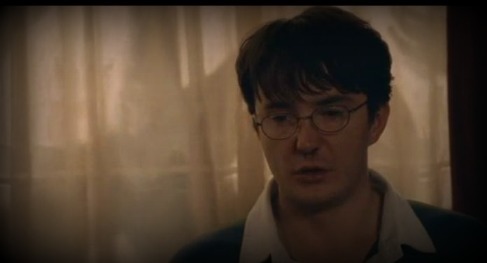 Harry Potter? Is that you? Then again, I am American and American humor tends to be far different, and vocabulary is very different in the United States. Over all you will find that there really is every emotion in this movie, and you will feel it. A couple boo-type scares, a couple chuckles, a couple sad moments, and a couple touching ones. Delivered to you in a nice zombie filled package and covered in blood. So step up, grab a pint and some pork rinds and have a seat to enjoy Shaun of the Dead on DVD also available on blu-ray and direct download from Amazon.